ECI Recruitment 2017 has announced recruitment for 11 Technical Officer Posts. Now you can Apply Online. Want to know more details. Check below. 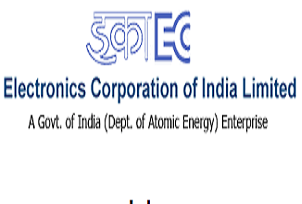 Electronics Corporation of India Limited (ECIL) (भारत इलेक्ट्रॉनिक्स निगम लिमिटेड ( ईसीआईएल ) ) is a Government of India Enterprise under the Department of Atomic Energy, established on April 11, 1967 by A. S. Rao at Hyderabad, to create a strong indigenous base in electronics. ECIL is a multi-product, multi disciplinary organisation with focus on indigenous Nuclear energy, space and Defence sectors. ECIL also has a strong presence in indigenous Electronic Security, Communications, Networking and e-governance domains. ECIL has committed partnerships with nuclear energy establishments of India, particularly Bhabha Atomic Research Center (BARC), Nuclear Power Corporation of India Limited (NPCIL) and Indira Gandhi Centre for Atomic Research (IGCAR). ECIL also actively supports other strategic sectors such as indigenous Defence (Defence Research and Development Organisation (DRDO)), Space (Department of Space (India))Civil Aviation, Information and Broadcasting, Telecommunications, Insurance, Banking, Police and Para-military Forces, Oil and Gas, Power, Space Education, Health, Agriculture, Steel and Coal. 3. Junior Artisan - Should have passed ITI (2 years duration) in the trades of Electronics / Electrical / Computers / Instrumentation. Check more details on their notification. Applicant age limit range (For Post 1 - 30 Years), (For Post 2, 3 - 25 Years). The Upper age limit is relaxed by 5 years for SC/ST; 3 years for OBC, 10 Years for Persons with Disabilities (15 years for SC/ST PWD’s & 13 years for OBC PWD’s) and for Ex-S as per Govt. of India rules.